The complexity of the body of laws that govern injured seamen claims and other admiralty and maritime claims can present challenges for attorneys and law firms that do not habitually handle such cases. In order to ensure justice is served to the client, it is advantageous for law firms that do not specialize in admiralty and maritime law to collaborate with attorneys who are intimately familiar with the laws, types of incidents and injuries sustained and pitfalls that could set back or terminate a case. 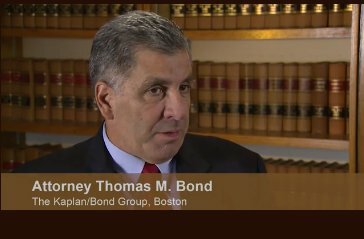 THE KAPLAN/BOND GROUP is a Boston-based law firm with sophisticated knowledge of admiralty matters and maritime law. We are trusted by clients and other attorneys throughout the nation for our experience in these complex cases. We have built a successful practice founded on our dedication to protecting the rights and maximizing recovery for injured maritime workers; particularly commercial seamen, longshoremen, harborworkers, commercial fishermen, and the other maritime workers that, without the proper “know-how,” are often permitted to fall between the cracks of otherwise superior avenues of maritime recovery. Statutes of Limitation: While the statute of limitations in most tort claims varies between two and four years from state to state, the state of limitations for claims brought under The Jones Act is three years, regardless of the state. FELA: The Jones Act expressly incorporates the Federal Employer Liability Act (FELA). Therefore, it is necessary to be well-versed in both maritime law and rail law. Arresting the vessel: It is acceptable, and usually preferable, to arrest the vessel to ensure preservation of both the asset and the evidence. Failure to seize the vessel in some instances could be considered legal malpractice, while in other cases, wrongful seizure could result in the surrender of a bond. View our article Suing the Employer, Basics of the Jones Act, for further analysis. Attorneys nationwide regularly rely upon the admiralty and maritime trial lawyers at THE KAPLAN/BOND GROUP because they know they can rest assured that we will uphold the highest standards of integrity and legal service while respecting referring counsel’s relationship with their client. We work under a high standard of client service with a focus on personal and attentive service and responsive and effective communication — with both client and referring counsel. We make it a point to collaborate and tailor our referral arrangement to the needs of referring counsel. THE KAPLAN/BOND GROUP has enjoyed remarkable success in admiralty matters and maritime suits and trials. This success is illustrated by our list of notable verdicts and settlements and our index of significant cases, some of which date back to 1960. Our dedication to our client and to achieving success is demonstrated by a case we relentlessly pursued: A landmark victory was achieved before the United States Supreme Court in the case of Stewart v. Dutra Const. Co., 543 U.S. 481 (2005). The ruling we achieved changed the law and expanded the rights of injured seamen nationwide. In that case, we lost twice in the trial court and then lost twice more on appeal of those losses. We did not quit there. We were right. We knew the courts had gotten it wrong. So we took it to the United States Supreme Court, and won. Call THE KAPLAN/BOND GROUP at 617-261-0080 or email our Boston, Massachusetts office for a free legal consultation.